A 50th anniversary is a very important occasion, so you will want to choose a special gift. This is a guide about 50th anniversary gift ideas. I have 4 siblings and we're trying to decide what to do for our parent's 50th anniversary. We've gone from giving them a cruise, to a trip to Japan, to a party at the local Sheraton hotel, to a measly Chinese restaurant dinner and a gift certificate. We cannot seem to agree and we all have differing budgets, not to mention having to pay for travel, hotel and car rental expenses for some of us - not in lieu of, but in addition to the celebration expenses. Granted, some of us are "talking" more by email than we ever had, but it's also bringing up hard feelings, having to veto some ideas. We have at least 5 to 6 months to go, but I'm glad we started talking now! Any ideas? I'm in NV, one sis is in CA, the other sis in NY and 2 brothers in WA state, which is where our parents live. I'd appreciate any ideas! Thanks so much, love this column. Editor's Note: This request was published in 2000. We are working on bringing older data into our database. At the time of my parents 50th anniversary, my father was not able to travel. There are three of us and we decided to have a Golden Anniversary party for them. We invited some of their friends and people that they have known and been in their lives during the years they were married. We rented an beautiful mansion (that was owned by the parks) in our area and catered it ourselves. We gave them a couple of big gifts that they needed and wanted and the party. We had finger foods (chicken wings and vegetable trays, meatballs, fresh fruits, chips and finger sandwiches.) And we had a wedding cake and an champagne punch (that was great). They really did appreciate all of their siblings (that could make it) and us and our families to be together. We had friends that kept the food and the punch going. The look they had on their faces when the party started was worth so much, you see my dad passed away 6 months later. Your parents will be glad to just get all of you together with your families and with them. Those are memories you and your siblings will never forget. I think nothing is worth arguing about when it comes to families. Maybe you all can come to some agreement but whatever you do, please make this a great memory for your parents. You will never regret it. What is an classy, but inexpensive gift for a 50th wedding anniversary for a cousin? Something besides a picture frame. My opinion is that it doesn't necessarily have to say something about 50th anniversary. But if you want semething a long that line how about a Christmas tree ornament that says 50th anniversary. Go to Bronner's.com and I think you will find things like that. I know when my parents had their 50th one of the things that they received was an embroidered thing that had some kind of verse about 50 years. It was done on ecru colored cloth and the design on the picture was done in a golden-tan color and the words in black, whoever gave that to them also framed it in a purchased frame. How much is expensive to you? For my brother's 50th anniversary I went to a dollar store and happened to find a gold gift bag, gold foil, and gold 'easter' grass. Over a period of time I got from the bank 50 of the gold dollar coins. I cut the foil and wrapped each coin in a piece. Then I alternated the grass and a few coins till it was all in the bag. To get at their gift they had to find all the coins and unwrap. What we did for my friends parents 50th was get 50 cent pieces from the year they married to their 50th year & put them on a piece of cardboard than we put a number 50 in the middle with the gold dollars. Put it in a picture frame with glass over it. It was heavy but beautiful all the same. Only 1 of the 50 cent piece cost us a few dollars to buy because it had never been in circulation but still didn't look out of place & the gold dollars we got at the bank. If you want you could make it with pennies & dimes but since it was a very special time & we wanted to use the gold dollars & the 50 cent pieces. So hope that gives you another idea & it can mean alot because it's made from the heart. Good Luck on whatever you decide. What did you use to put them on the cardboard and have them stay. A special glue or tape? What is a gift for 50th wedding anniversary for a friend? We need tips for our 50th wedding anniversary. Perhaps a nice getaway or bed and breakfast, but something that is really special. Where was your first honeymoon? Could you go there again? My grandparents never had a first honeymoon; when they had their 40th anniversary, my grandfather took Nana to Niagara Falls--where she'd dreamed of going but they never had gone--for one reason or another, with day-to-day life getting in the way until then. He wasn't the romantic type,and this really floored her. Is there someplace your hubby has always wanted to go ( that you could live with for this special anniversary?) Congratulations on your 50th--quite an accomplishment! You don't say if money is an object, so let's just assume you don't want to spend too much. Are you still in touch with the couple who knew you when..? If so, invite them to join you for dinner. You pick up the tab. If you aren't close to them perhaps you can invite other couples who have been married for 5, 10, 20, etc. years and they can join you for dinner. It will make for interesting conversation for sure. Ask people to recall when they first met, bring photo, etc. I will be going to California in September for a family reunion and at the same time I would like to surprise my in laws with something special for their 50th anniversary. I am limited to what I can do as I don't have access to stores there and what I can bring. Besides photo albums, do you have any ideas that would make their anniversary a special event along with the reunion? This is a lot of fun. You can custom make a fake newspaper, featuring all they have done together over the last 50 years. I have suggested this a lot, and I always tell people if they can, get two. That way, if they want to display each side of the page, they don't have to have a large copy made. You can put things in there like their wedding, births, civic awards, jobs, travel, and all that they are in a newspaper form. Get family members to send you photos and frame them for table decorations, any year will do. The more the merrier. My parents will soon celebrate their 50th Wedding Anniversary, any suggestions for a gift? I'm Canadian so not sure if this may be applicable to you if you're an American. I contacted my in-laws federal M.P. and he went to task ensuring that every government head from local to the Queen's representative (Queen herself only sends greetings if over 60 years, I believe) sent them either a letter or a signed certificate congratulating them on their 50 years of marriage. For the most part, they were tickled pink. Of course some of the congrats were from the "wrong political party". Ha! After 50 years together what can you buy, they have for most part everything they want/need. Give them more attention, phone calls, and visits, that's what they'll really appreciation. What about a weekend getaway? If they went on a honey moon maybe send them to wherever they honeymooned! Gift cards to favorite restaurants. A public show of congratulations is wonderful, if they are that kind of parents. Some are not. If they are, gather your pennies and see how much it would cost for a "then and now" photo in the paper. 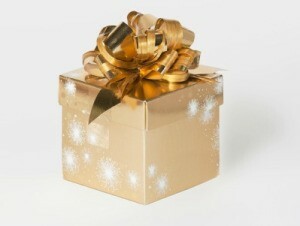 There are also some gift places on this site: http://www.google.com/search?hl=enandq=fake+newspapersandaq=fandoq=. It is one where you can have a newspaper made up to display them on the front page and what was happening that day in the world, or write your own stories about your births, etc. If you can, order two so they can display one side and then the other if they choose to frame them. If you all can't afford a trip to a nice place far off, perhaps a nice dinner cruise close, or a train ride with a dinner theatre, a tour of the local wineries, or a local event that they always wanted to attend. We gave our parents a pendulum wall clock with a name plate on it saying their first names and 50th Wedding Anniversary and the date. They both loved it! They have taken that clock with them, moving to 3 different states, now.